The details of the trainings conducted during the month of August 2017 are as mentioned below wherein total of 89 members participated. The subjects of the same are as mentioned below. The trainings were conducted with an objective to train the WASH committees formulated under the WASH Program in 11 Villages of Durgapur, Rajasthan on different subject areas to enhance their skills and build capacities, strong co-ordination among the WASH Leaders to complete the work effectively and efficiently. 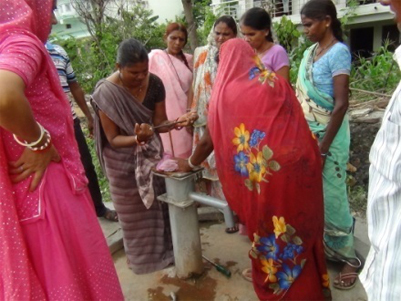 "I learnt about the spare parts used in the hand pump repairing. I had also learnt the names of the spare parts and their pronunciations. I had learnt how to give training to other members in my village and community. I also learnt about maintaining discipline during the impact of the training. " "I found training very good. I had learnt about the importance of water through visuals share during the training and about hand pump repairing. I learnt that we should repair hand pump platform as and when it broke through visual displayed in the class. I had also gained practical exposure of hand pump repairing and learnt through on site repair of the hand pump. 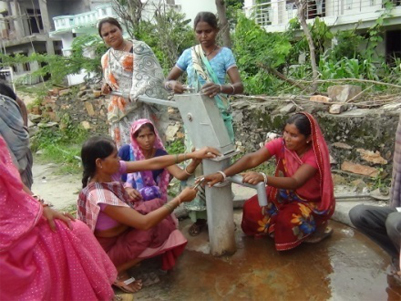 I learnt about Mark 2 and Mark 3 types of hand pump and that only Mark 2 hand pump works effectively." "I had done repairing work in various villages, but haven't received such training yet. This training is very useful. 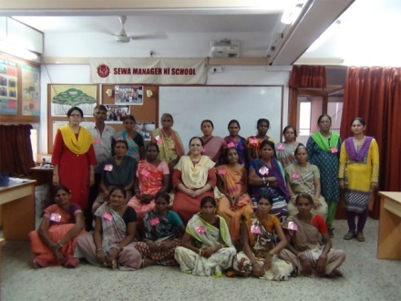 I am member of SEWA and was facilitated with training. I will also ensure that my both daughter in laws will receive such training in the near future, as my both daughter in laws curiously asked me about the training. 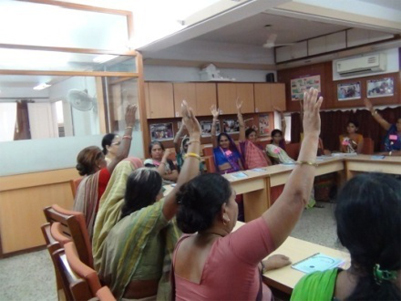 I will share my experience of training and will encourage more and more women members to participate in such training. "Earlier I used to go to different villages without proper clothes and dressing. I was unaware about and ignorant towards the way of dressing. 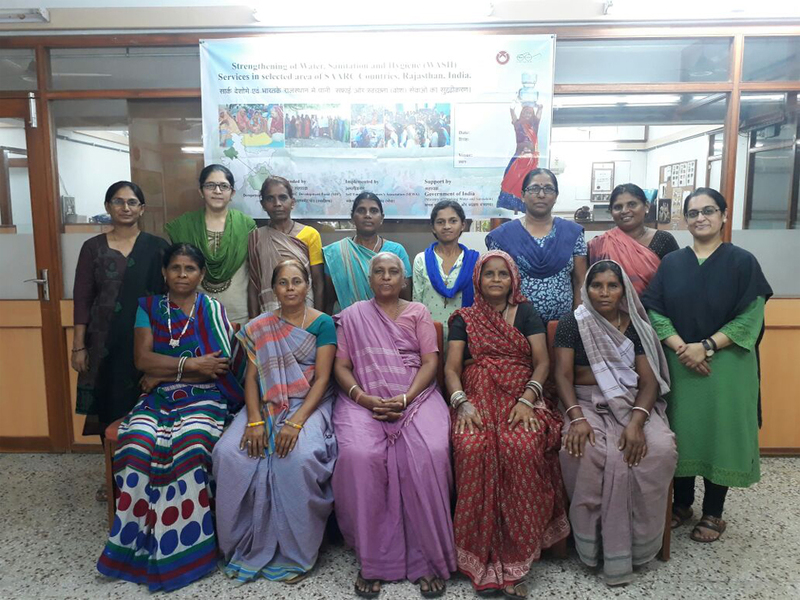 After receiving these trainings, I realized that proper dressing makes more impact on work as if we neatly wear saree, tie hairs properly and carry ourselves in well manner it effect more. RSPN through the funding from SAARC Development Fund and with technical support from Engineering Sector of SamtseDzongkhag provided a five-day basic technical training on operation and maintenance of Rural Water Supply Scheme/System (RWSS) to 12 water caretakers of Yoeseltseand PhuntshopelriGewogs from August 22-26, 2017 at YoeseltseGewog Centre, Samtse. The training was conducted to build capacity of the local water caretakers on operation and maintenance of RWSS for sustainable management and functioning at the community level; and to provide hands-on-training of the water caretakers on standard operating procedures (SOPs) of RWSS. Mr. Tsheten Dorji, WASH Project Officer presented on the water resources and its scenario in Bhutan. The water caretakers were then briefed on roles and responsibilities of water caretakers, the RWSS module, and the importance of timely operation and maintenance. During the practical session, the engineer and experienced technicians from SamtseDzongkhag provided hands-on-training on the usage and handling of tools and the routine operation and maintenance work that are vital for assuring quality control of drinking water. The participants were trained on aspects such as joining of mainline and branch-lines using both GI and HDP pipes, fabrication of 'BEND, Y, TEE and CROSS', carrying out repairs works, and finally on how to clean the tanks. Each caretaker was provided with the Water Caretaker's Manual and a Tool Box. The training concluded with the award of certificate to the participants by the Gup of YoeseltseGewog. RSPN would like to thank SDF for the fund support and SamtseDzongkhag for their continued technical support. We would also like to thank the 12 participants who shared that they gained valuable knowledge and technical skills through the training. It was encouraging to see the water caretakers confident of henceforth undertaking the operation and maintenance services by themselves.